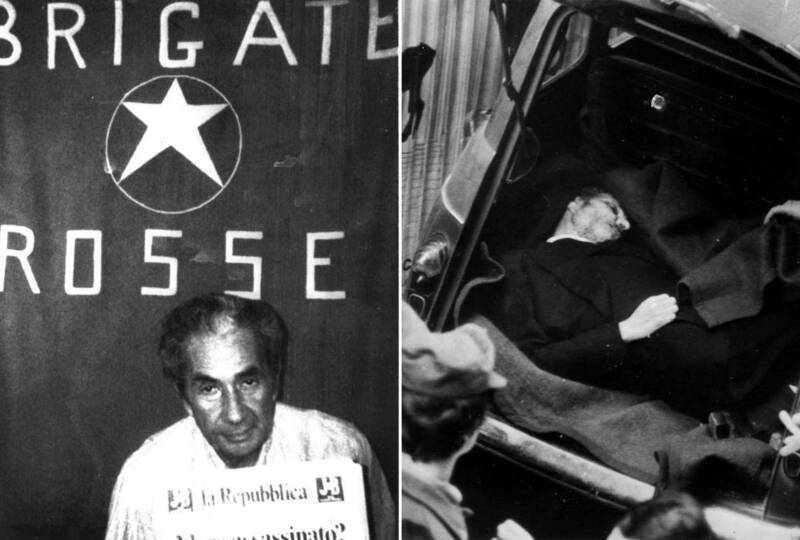 Aldo Moro during his imprisonment and his body found in the trunk of a red Renault 4 in via Michelangelo Caetani in the historic centre of Rome. 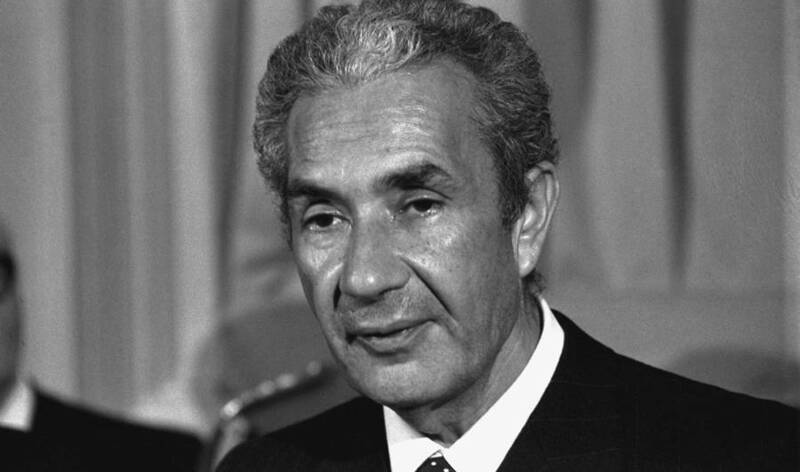 ROME -- March 16 marks the 40th anniversary of the day when Aldo Moro was kidnapped and five of his bodyguards were killed by Red Brigades in a military-style ambush on Via Fani in Rome. 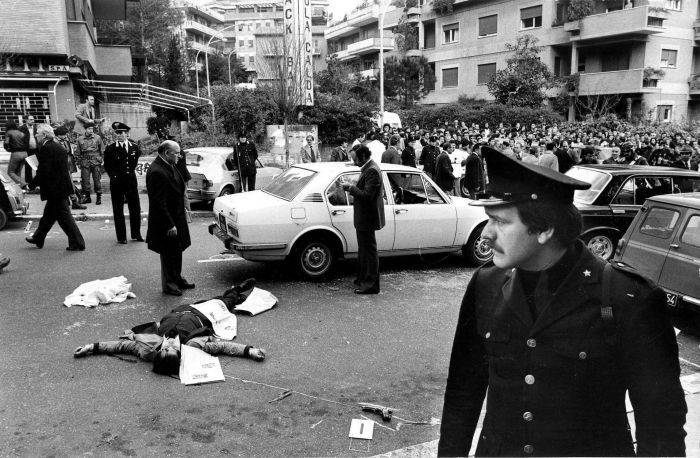 None of those who lived through that event will ever forget the deep sense of anguish and fear for his fate that marked each of the 55 days that passed before his body was found, stuffed into the trunk of a car parked on Via Caetani near Rome's Piazza Venezia. The car in which the murdered Moro was found had been left more or less midway between the headquarters of the Christian Democratic party and the Communist party. I happened to be nearby on Via del Corso, when the blare of countless sirens screamed instantly that his body had been found. I ran immediately in the direction of the sirens and in that way became an early, horrified witness to the discovery of the body. 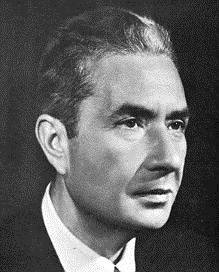 Just who was Aldo Moro? Born in Maglie near Lecce, he came from an educated family: his father was a school inspector and his mother, an elementary school teacher. Graduated in law from the University of Bari in 1939, he began teaching there just three years later. This was wartime, and Moro entered the army in 1942 as an infantry soldier and later served in the air force. Not long afterward he became active in a secret circle of Catholic-oriented, anti-Fascist young politicians. Some of this cohort went on to found the Christian Democratic party (DC), which would play a crucial role in governing Italy for four postwar decades after the fall of Fascism. In 1948 Moro, a practicing Catholic who continued all his life to attend mass before his teaching and political commitments, was elected to Parliament on the DC ticket, becoming undersecretary for foreign affairs in the cabinet of the staunchly Catholic statesman Alcide De Gasperi. In the meantime Moro had married Eleanora Chiavarelli in 1945, and the couple had four children. He continued to teach at Bari University until 1963, when he transferred to the University of Rome. At that time the DC was squared off against the Italian Communist party (PCI). The Communists had been financed by the Soviet Union in the same way that the DC itself had received a helping hand from the US. In the early Sixties the DC was divided into two separate wings. 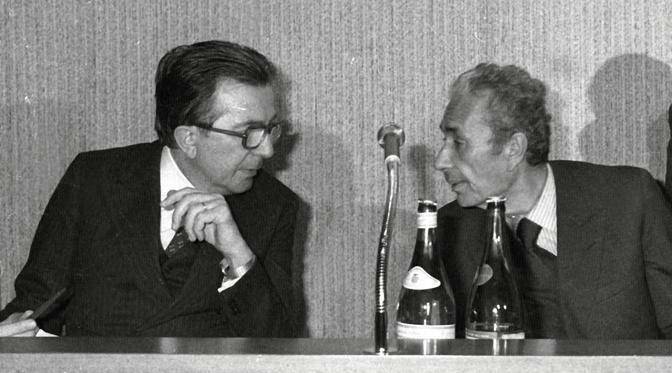 On the right were the "Dorotei", a large faction headed by Giulio Andreotti. Opposing them was the more progressive Catholic faction headed by Moro, and hence called the "Morotei." Since the end of the war the DC had held a stranglehold over the government, which meant that, given the PCI links to the Communist world, there was no alternating of right and left. 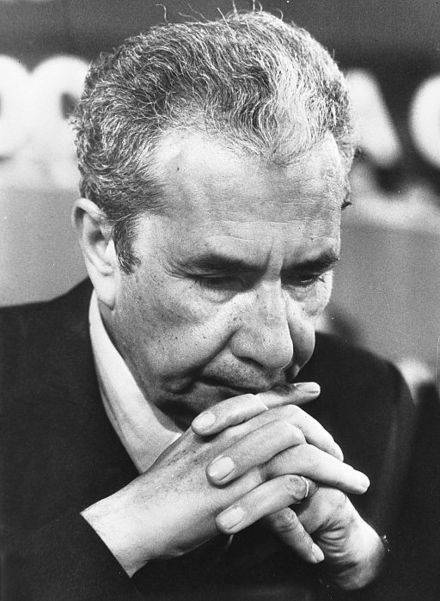 Desiring change, in 1963 Moro opened the government to the Italian Socialist party (PSI), led by Pietro Nenni, and became premier of a center-left coalition. 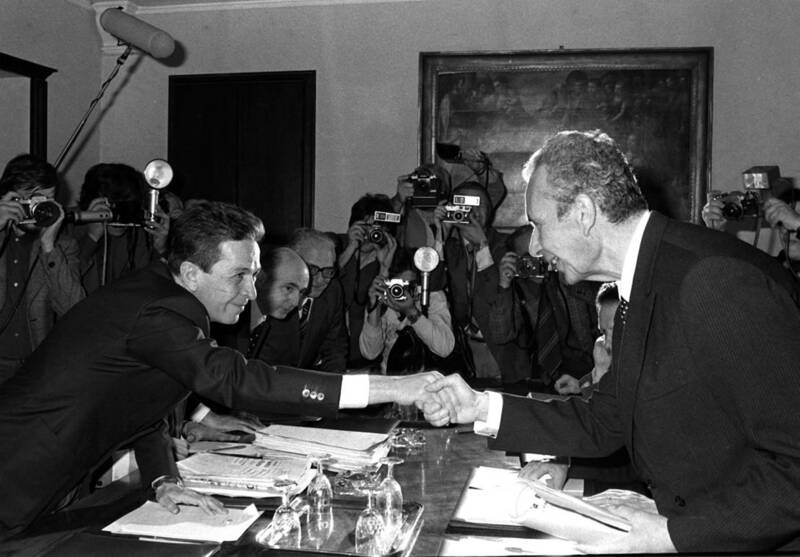 As that center-left coalition gradually floundered, in 1978, Moro, by then president of the DC, proposed that the DC head a government once more, but that it accept outside voting support from the Communist party. Neither the Americans nor the Soviets were thrilled by the accord, the first of its kind in Europe, dubbed the "Historic Compromise." The murderous assault and kidnapping on Via Fani took place on the very morning when Moro was to present the new Communist supported government in Parliament. The assault was by a team of commandos of the Red Brigades (BR), a Marxist-Leninist terrorist organization created in 1970 in Trento in the wake of widespread student unrest, and which expanded into Milan, Reggio Emilia and Turin, and then on to Rome, Genoa and Venice. At the time of the kidnapping 46 Brigatisti, including BR founding father Renato Curcio, had been on trial in Turin for almost two years. Their defense was that they were acting in the same way as partisan fighters had during World War II. That trial was so difficult that 210 lawyers refused to represent BR members while 40 of those asked to be jurors also refused out of fear. The Brigades' choice of Moro as victim was in its way casual. Well funded from an earlier kidnap for ransom, the BR in Rome worked for five months, meticulously preparing the assault. According to an excellent anniversary reconstruction by Ezio Mauro in La Repubblica, the BR were undecided about which DC bigwigs to kidnap. 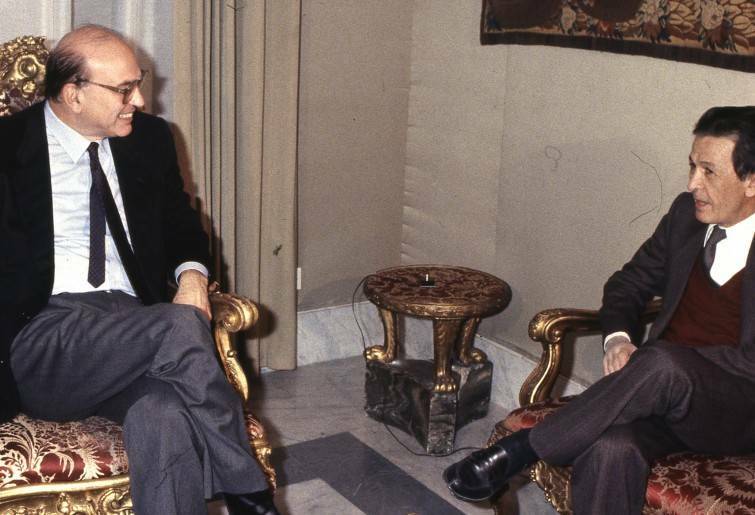 The other two considered were Andreotti himself and former premier and Senate president Amintore Fanfani. Meticulously trailing each of these three, they found out that while Andreotti was in constant full public view, Moro's car and his bodyguards in two other cars drove regularly down a small road, the Via Fani, where there was limited possibility of their being observed. The only shop, a florist's, had just been shut down. Once he was in their hands, the BR placed Moro in one (and perhaps more) 'prisons' and called upon the government to release 13 of their imprisoned members. As time passed, from his 'prison' Moro sent long, hand-written letters to his family, to his fellow party leaders and to the Socialist leader Bettino Craxi. Some of the recipients refused to recognize the letters as authentic. The crucial question was whether or not the Italian government should negotiate for Moro's release. 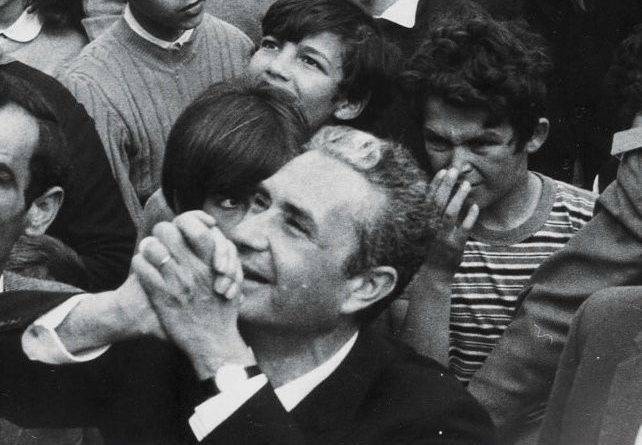 Of the politicians, all but Craxi, we are told, refused to negotiate with the Red Brigades for his release -- but then Pope Paul VI launched a campaign to negotiate for Moro's release in exchange for money. Even the pontiff's plea for negotiation was ignored. For reporter Ezio Mauro, negotiations would have been an error: "The only possible solution would have been -- had the state apparatus been more efficient and less polluted -- to find his prison and free him. I remain convinced that firmness in dealing with the terrorists was the right choice." Not surprisingly, conspiracy theories have abounded, in part because the planning appeared so excellent that, it was initially assumed, only skilled military, perhaps of some foreign country, could have carried it out. "Both Moscow and Washington opposed Moro's policy as dangerously destabilising for the postwar European order which the great powers sanction at the Yalta conference in 1945," Philip Willan wrote for the Guardian back in 2003. "Suspicion continues to this day that the CIA or KGB, possibly both, may have played a role in his violent removal from the political scene. At the very least, they did nothing to secure his release." And in the meantime the Historic Compromise was abandoned.